Apple's HomePod is far from being ready for prime time, but its specs are promising and its design sets it apart. Apple finally tossed its hat into the at-home digital assistant ring on Monday when the company introduced the HomePod, a smart speaker that you control via Siri. 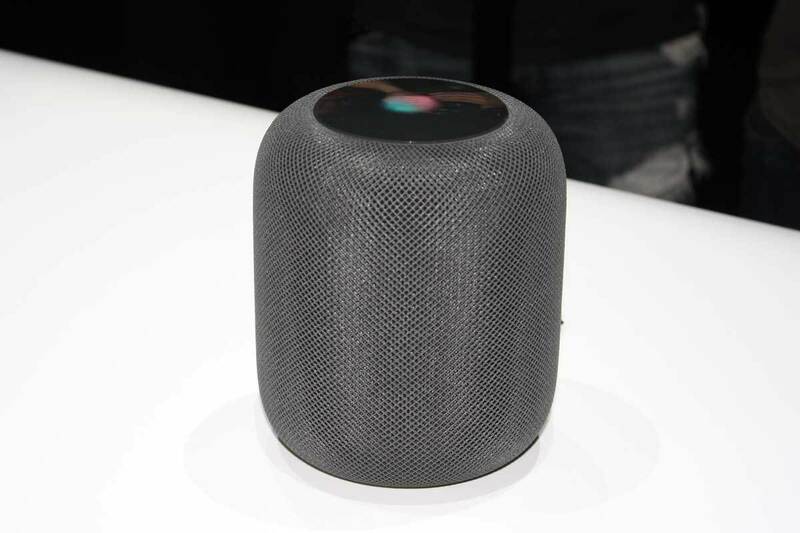 While the device won’t be available until later this year, I was able to get an extra glimpse (but not touch) of the new HomePod after Apple’s WWDC keynote wrapped up. The first thing that struck me when I saw the HomePod was that it reminded me of the Mac Pro. The Mac Pro is taller and more slender than the HomePod, but from a short distance, I though I was looking at a Mac Pro stuffed in fishnet stockings. The HomePod has a cylindrical shape like the Mac Pro, but it’s shorter and stockier. HomePod certainly doesn’t look like any other digital assistant on the market, and Apple’s emphasis on its use for playing music seems to have played a key role in its design. While Google Home and Amazon Echo look like listening devices, the HomePod, which looks more like a audio speaker, could be more appealing to audio aficionados. It’s definitely an aesthetic that feels more home-friendly. The HomePod has a light at the top to indicate that it’s operational. The rumor mill had the “Siri Speaker” outfitted with an actual screen—and this light sure isn’t that. I imagine that the light provides a visual cue to indicate that Siri is listening and/or responding. 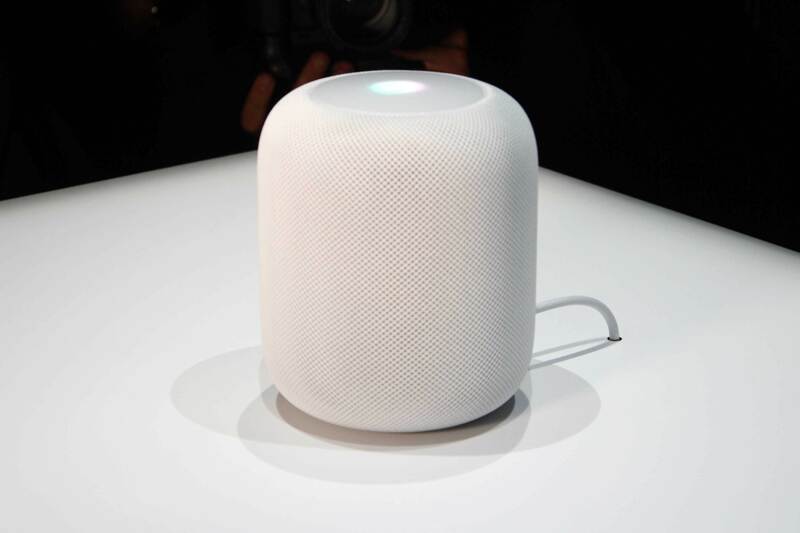 HomePod is available in white or black. I wasn’t able to see if the mesh covering is removable, and Apple’s recommendations for caring for the covering remains to be seen. Since no demonstrations were being performed, the HomePods at the show were probably display units that weren’t really working. But they were plugged in, and Apple does match the power cord to the color of the main unit. Apple spent most of its time during the HomePod part of the keynote to talk about it as a music player, its seven tweeters, its “high-excursion” woofers, its ability to sense a room and adjust its audio accordingly, and its integration with Apple Music. Unfortunately, we weren’t able to hear HomePod in action just yet. After all the talk about music, Apple covered the HomePod’s abilities as a digital assistant. Its six-microphone array is listening for your “hey Siri” command and waiting to do your bidding. But this was another feature that didn’t seem operational with the WWDC units—we’ll just have to wait and see how these features perform in real life. The HomePod will be available in December with a price of $349.